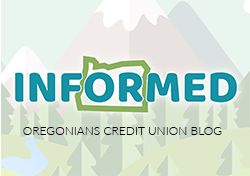 Oregonians CU offers a variety of checking accounts to meet your needs. All of our checking accounts include our online banking tools and a Visa debit card. Choose an account type below to learn more. Just the basics. A low minimum balance requirement along with all of our anywhere banking services and a Visa Debit Card, which allow you to manage and access your account anytime, anywhere. 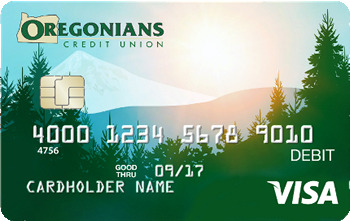 Get cash or make purchases around the world with an Oregonians CU debit card. Now featuring EMV chip technology. With six free ATM transactions a month and access to a nationwide network of surcharge-free ATMs you'll save money with our debit card. Our cards are now compatible with Mobile Wallets!